• Cast your screen to share everything that you’re experiencing in Daydream with your friends. • Get into VR even faster! • Ready for new adventures. Added support for the new Daydream View headset and Pixel 2 phone. • Lots of other bug fixes and improvements. The new Daydream View headset is a modest upgrade, with a slightly higher $99 price tag. It has a marginally wider view and upgraded materials, but its capabilities aren't really any different to the original. In the ad for the new headset, below, you can see a short section about the cast feature (around 0:44), which will certainly make using it more sociable. It will be available for the original View, too. One of my biggest doubts about VR generally, and its future popularity and usefulness, is that it's quite an isolating experience when you are in a group. This sharing feature has the potential to change that. 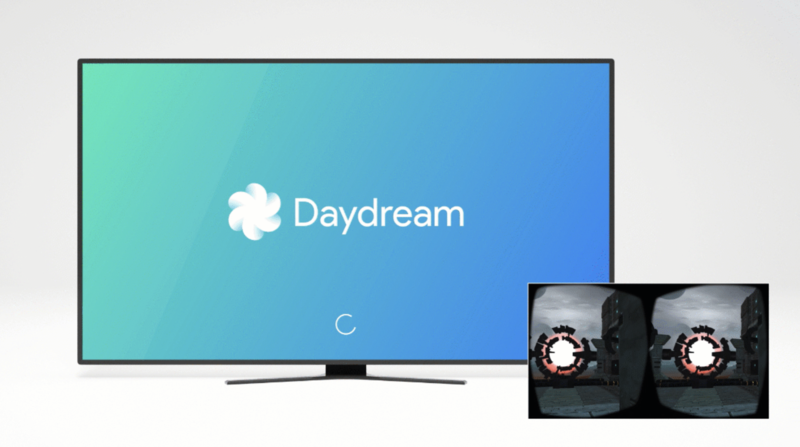 You can update to the latest version of Daydream through the Play Store via the link below, or by installing it manually from APKMirror. Let us know your thoughts about the new casting feature if you give it a try; does it improve the experience?